I just went to the store to get a few provisions like milk, bread, eggs, but other than that, I did not go full on grocery shopping this week. It will be interesting what else I find lurking in the fridge/freezer/pantry. I am a little scared. LOL. Do you ever do this? Does it work out? I read an article on Huffington Post just recently (although it was published in December) and really hit home about how much food we all really probably have at any given time. Astonishing really. I am linking this up this post with Laurie at I'm An Organizing Junkie. *I will post this recipe shortly because I just threw it together and it turned out really good. Pinterest is keeping me up at night. I lay there and think about all the endless possibilities you can find on that one site. So,so many things. And so instead of continuing to lay there in the middle of the night, I get up and pin. Ok, maybe I don't pin everything I see but I look at a lot of pins. I drool over all the awesome recipes. Saying, "One day, I am going to try this" and then that one day comes and goes. I ohhh and ahhhhh over the cutest craft ideas (that I will probably never ever make; I don't have but maybe a small crafty bone in my body; my pinky) but it is still a nice thought that someday. Someday I will be organized enough with my small children and they will be truly interested enough to do an actual craft (from beginning to end) that was something other than finger paint all over my table. Or Q-tips strewn from one side of the house to another (yeah that was last night) AND we weren't even doing a craft, if that tells you something. But anyways, yes, I like Pinterest as do many million others. I hear it is the second fastest growing social media site. Who would have thunk? I sure didn't when it was first released. BUT I jumped on it quick though because EVERYONE was doing it and I am a follower you know (ha!). Here are some recent Pinterest finds that I am going to do (or not) but I like them never the less. be a healthier alternative to the normal chip and dip fare. I really am going to do this sometime this weekend. This is such a better alternative to crackers or chips. How cute are these for Easter! So, so cute. I am dreaming of spring flowers. This would look great in my kitchen windowsill. And my garden. I can't wait. earlier this year and then transplant. I have the perfect place for something like this to hang. What are your favorite Pinterest categories? Found anything utterly exciting that you just had to try? Did it work out? Follow me on Pinterest? If you follow me, I will follow you back, just drop me a comment with your Pinterest handle. You can find me at notsuperwoman. Hope you have a FANTABULOUS weekend! I'm a bit discouraged. There I said it. I only made it to the gym 2 times so far this week and tomorrow doesn't look like it will be condusive to it...Ughhh. I had been *starting* my week from Wednesday to Wednesday because of the WIW posts however I have revamped it and now my week is Saturday to Saturday. I found that I felt I was sabotaging myself a little bit by rushing from work to the gym on Wednesdays to work out and weigh in to get this post up while it is was still technically Wednesday. It just wasn't working on every front. So although I am still posting them as Weigh In Wednesdays I am actually weighing myself on Saturday mornings...which I heard that morning weight is the most accurate anyways....Right? (And Saturday is the only day I can go to the gym in the morning). I am obviously not losing nearly as much weight as I did the first two weeks or so by any means which is also a bit discouraging but I am soldiering on. I got to get this weight off one way or another but by doing it the right way. It is H-A-R-D! 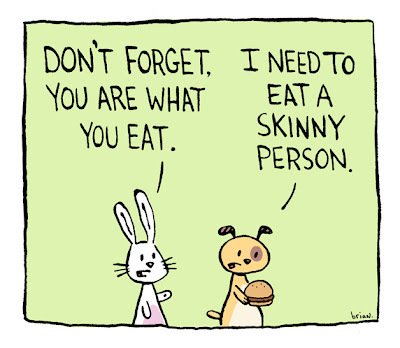 I am sure anyone who has tried to lose weight, feels my pain. I sometimes wish there was a magic pill because I am a self professed foodie at heart and love, love, love to cook and go out to wonderful restaurants, etc and because sometimes I just want to be lazy and not do anything. And I know I can still do all that but while I am going through this, whole really trying my darndest to lose weight, I feel a little bit off because I feel like if I do those things, cook awesome meals for my family, go out to dinner with friends, etc...then again, I feel like I am sabotaging myself because I lack this little thing called willpower sometimes most of the time. Difficult, so difficult I tell you. On a *lighter* note (ha! pun intended) I am going to take a picture next week to post wearing the same workout shirt that I took my picture in the first time. It is feeling a bit loose now so I know even though the pounds are not necessarily dropping like its hot, I am losing some inches and bloatedness. Hopefully you will be able to tell. Ok, so without further ado...Saturday when I weighed myself, in the morning, before my work out....I weighed 265.8 which makes my total weight loss at 13.8 pounds! Still have a loooong, loooong journey but....taking it day by day. Oh and remember the food diary that I was going to start, yeah didnt' happen. Nice thought, bought the book, didn't write anything down. Yup, another thing to work on. Carry on. How was your week? What worked for you? Didn't work? To a tea party, we go! Miss K and I have been invited to our first Mother-Daughter Tea. I am so excited, as is she. She has been talking about it all week. Several of her little friends will be there. We will drink tea with our pinkies up. 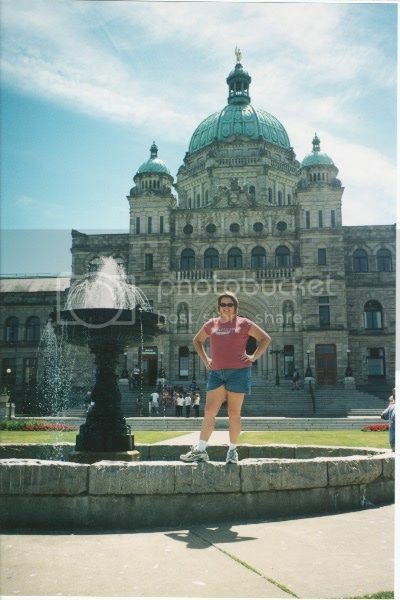 I have linked my 6WS post to Cate at Showmyface.com. Describe your life, what is going on in it, in 6 words. Make sure to visit the others. Lots of great blogs to be read. Well here we are again…Wednesday, the day I will probably dread when I hit a plateau…but for now I am loving it! I am feeling better with each passing day. I am feeling lighter and have a nice little spring back in my step. My working out is now becoming a habit, second nature. I did however fall down a little bit these past couple days because LIFE.INTERRUPTED and I didn't get to the club until today. (My goal is 3-4 times a week for at least an hour). It wasn't so bad afterall, thankfully. I weighed myself on Saturday and I am still the same, haven't gained any from then or lost any. I am now at 12.6 lbs lost. I figure slow and steady wins the race, right? I didn't put this weight on over night and I can not lose it overnight. I am still drinking lots and lots of water and have decided I am going to start writing a food journal. I did this several years ago when I lost 60lbs through Weight Watchers. I have also decided to eat more green salads at lunch and dinner to "fill me up". This was another habit WW taught me way back when and helped me. It may not help everyone but it helped me. I am down a size so this evening I did some retail therapy and bought myself 3 (new to me) shirts. Which reminds me, I have a new little venture I am working on as a result of my current and ongoing weight loss. I figured I am not going to have the money nor will I want to buy a new wardrobe every time I lose a few pounds, drop a size, so I am in the early stages of creating a community clothing swap for women. This is not a new concept by any means but something that I have seen only a handful of times around our area and mostly for childrens clothing. It will be for women of all shapes and sizes and will not only be geared to those that have lost weight but for those that have gained weight as well. Everyone is welcome. I have started a website for it and am slowly working towards getting it off the ground. My goal is to have the first swap the first part of March 2013. Evolving Closet Clothing Swap: Let your clothes EVOLVE with you. As soon as I have the website up and running I will put a link on my blog. I hope you will check it out. I am excited for both my ongoing weight loss and this new venture. Ok, so I am uber late to the party. I apologize. This is actually the first time I had a minute today to post anything. I know I should have been more organized and scheduled the post ahead of time. But I didn't (hangs head in shame). If you get a chance link up a post that you think deserves a second chance and make sure to visit others. Tell them you found them on TALU! I have lost a total of 11 lbs! Woot! Woot! High Five! Fist Bump! I'm not excited or anything. It's time. Weigh In Wednesday. I promised ya'll so I am going to deliver. Since 12/27/12 I have lost 9.8 lbs. I weighed in on Monday since I didn't go to the gym yesterday but I am going to weigh in again this afternoon and may revise this based on those numbers. I am crossing my fingers that I can report a little bit more weight loss. Overall though, 9.8 lbs in 13 days I think is a pretty darn good start. Like I said in another post, I know a lot of the initial weight loss is water weight and shock to your system, but I will take every ounce. I have been working out on average every other day. Nothing majorly intense yet. I am easing my way into things. I don't want to over do it too quickly and then burn out. My work outs generally have consisted of 20-30 mins cardio (either treadmill or bike) and 20-30 mins of free weights. On the treadmill, I am working my way up every other day to higher inclines and speed. As long as I can get through the first 15 minutes, then I am usually good for the rest of the time. It is just getting through that first 15 where my body is telling me to, "Stop, I'm tired. Go sit down." LOL. Actually because of my weight, both my knees and hips hurt from the impact which is why I have been riding the bike at times instead. I might even try the elliptical to see if that is less impacting. I know I need cardio though so even if I am in pain, I am pushing through. For me, in the past, cardio is what has helped me shed the pounds quickly. I have not changed my eating habits drastically. I am not starving myself or even counting calories. I am just being more diligent of what I am eating, when I am eating and even why I am eating. No more boredom eating or late night snacks. Breakfast: Turkey Sausage Whole Wheat Bagel w/Egg. Skinny Hot Chocolate. Snack: 3 celery stocks with peanut butter. Lunch: Lean Cuisine Salisbury Steak and Mashed Potatoes. Pear. And of course throughout the day, tons and tons and tons of water. Did I mention tons of water? I have a liter Dasani bottle that I refill several times throughout the day at work/home, add 2 packets of Crystal Light and I am good to go. It has to be super cold though. I can not drink warm or even room temperature water. Ick. Water. It does a body good. Rids your body of toxins. Appetite suppressant. Next time you think you are hungry, drink an 8oz glass of water. You were probably thirsty, not hungry. We even had a birthday lunch on Sunday (for my husband) complete with a big juicy burger and fries which I thought would totally do me in but it didn't because I was conscious to what I ate the rest of the day. Instead of baking or buying a whole cake for him, I bought a single slice of German Chocolate Cake at the bakery and we shared it. No risk of having a full cake hanging around, calling my name. "Jennifer, eattt me....Eattt me". No, thank you! I know 9.8 lbs doesn't sound like a lot but I already feel lighter. My skin looks better. My body isn't as achy all the time and I have been sleeping more sound too. I am hoping that I can keep up this pace because if I can, I will be at my goal weight in no time at all. I'm excited! 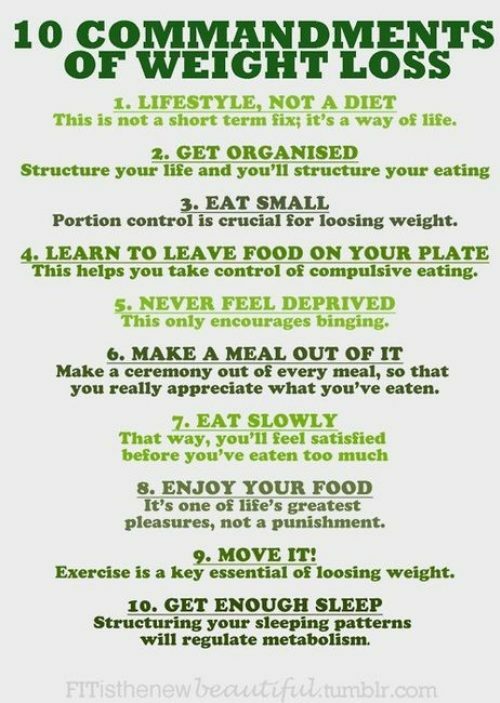 I found this 10 Commandments of Weight Loss and thought I would share it. It sums it up pretty nicely. Until next time, keep walking and drink lots of water! Have you had success/failure with your weight loss this week? Please email or comment. I would love to support and encourage you on your journey. I mean I knew I had ahhhhsome readers and followers...and I knew that the blogosphere is full of great supportive people but ....the responses I have been receiving on a few of my recent weight loss posts, have been more than I ever anticipated and they are so helpful in motivating me even more. I am doing this for me but now I will be doing this for you too! I am the everyday average women who struggles with her weight. I want to share it all with you which is why I had to *get real* and post that picture of myself at my starting point. A few of you have chimed in that you are on the same journey and I commend you and want to support you just as you are supporting me! I think support, encouragement and accountability help everyone be successful in many endeavours. A few have said you are not ready or just don't think you can do it and that is ok. It will only work for you, when you are ready. Only you can make the change. But I hope that I can be an inspiration to you that you really can do this without the gimmick diets, without the magic pills, meal replacement shakes/bars, etc. I posted this quote on my personal Facebook status a few days ago....Did you know I have a I'm Not Superwoman fan page? And it is so true. For those of you who are still on the fence about starting your weight loss journey start out with a single step. :::Park further away at the mall or store. ::::No going back for seconds. ::::Walk. If only for 20-30 mins a day. Walk. I am by no means an expert, obviously, but I have implemented a few of these small changes and they have already shown me results that I will write about tomorrow in my Weigh In Wednesday post. I am still on the fence whether or not I am going to do a linky. Maybe I will find some time this weekend to set it up and create a really cool button. We'll see. Again, thank you all so much for your supportive words. I appreciate you all more than words can even convey. Welcome to the first TALU of the New Year! I know you are excited, I can feel it! So link up a post you think deserves a second chance. And make sure to visit some of the others that have linked. Tell them you found them on TALU! Have fun! I am borrowing my friends word of the year. It is a great word. I hope you don't mind, Fi! If you can visualize it, you can be it. 100% honest, I am also visualizing myself being skinnier. I was looking at some older pictures of when I was skinnier and (healthier). does not automatically make them unhealthy. But for me, for now, this is what is motivating me. I am not set on a size per se but definitely set on a number. A number that I used to be. Make sure to come back on Wednesday for my Weigh In Wednesday post. 5 days of work into 3. Kinda glad the holidays are over. Kids back in school on Monday. Get back into routine for them. Working out like mad these days. Did you see This Is Me? Still sitting at 6 pounds lost. I over did it on Thursday. I paid for it in pain. Off to another basketball tournament today. Talk to you all later gator. I linked up with Cate at showmyface.com. You can too. It is easy, it is fun. going on in your life in 6 words. You can elaborate, post images, or not. I think I found my new favorite pasta dish. What is Spacon you ask? Spinach + Bacon= Spacon. And I used Turkey Bacon so still the *ahhhsome* taste but a fraction of the fat and calories of regular pork bacon. 1. In frying pan, cook bacon til crispy. Drain excess fat. Set aside. 3. Cook diced tomatoes and garlic in pan lightly coated with Olive Oil (if use canned tomatoes, drain juice). 4. Put diced spinach in colander, pour penne pasta with water into colander to drain. This will wilt the spinach. 5. Dice up cooked bacon. 6. Combine pasta/spinach into bowl along with cooked tomatoes/garlic. Add bacon pieces. Lightly coat with some Parmesan Cheese. Serve with side salad, french bread or whatever tickles your fancy. Mouthwatering deliciousness with less guilt. You're welcome! So I have written this post a few times since I posted my 6WS post about Accountability and my Operation Shed Some Pounds plan for the New Year. And just so we are clear, this is NOT a New Years Resolution. I never make resolutions since those tend to be broken more often than not. This is a WHOLE lifestyle change. This is a goal that I intend on reaching with flying colors. As I looked at this picture today....several emotions came into play. Sadness, disgust, disappointment... I know that my weight does not define who I am or my self worth, but if I am to be honest, I am disappointed in myself to have "let" myself go for this long. It is TIME. This is ME today but will not be ME tomorrow. My starting weight on 12/27/12 was 279.6! The heaviest I have ever been. My goal is to lose 75-100 lbs. Today after working out the past 4 days I am down 6lbs! I know alot of that is water weight and from the shock to my body but I will take it! You may have noticed I have a ticker on my side bar that I will update periodically. I think what I am going to try and do is a weekly post about my weight loss journey. Maybe give it some clever name like Weigh In Wednesday. I probably won't post a picture every time but I will give you a run down of the progress and what I have been doing to accomplish it. If there are others resolving to lose weight this year, please comment or email me so we can be of encouragement to one another. If there is an interest I *might* even create a linky for others to link up weight loss posts on Wednesdays. What do you think?